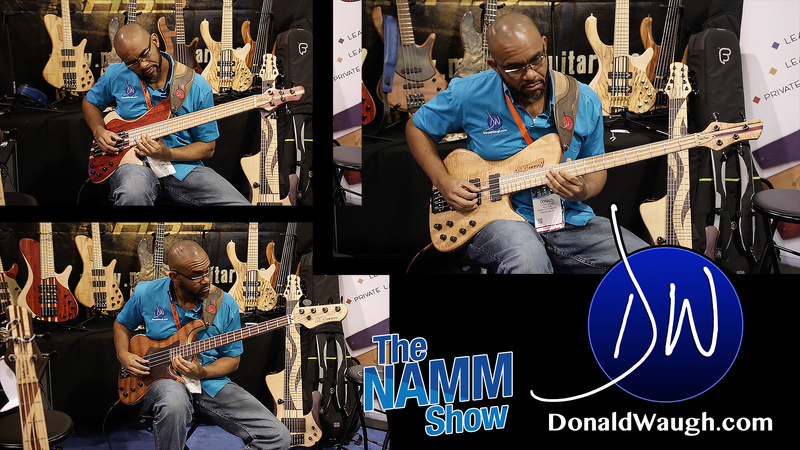 So many new products from MG Bass Guitars this year. I was only able to check out a few. The new Wave Bird is a red five string bass made with Padauk/Maple and a Birdseye Maple fingerboard. This beauty could easily be the show’s favourite. The Desert Buckeye Burl is another fantastic instrument which has a very smooth tone. Also in the line up are the JB-1 and JB-Viking, which have a vintage tone similar to a jazz bass, but also come equipped with a very powerful preamp to achieve modern tones as well. Don’t just take my word for it, listen for yourself. Enjoy the video!